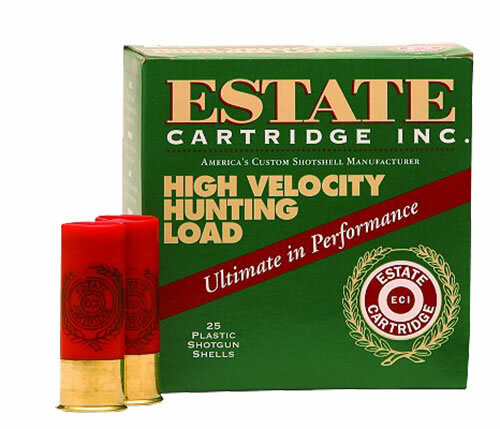 Estate Cartridge combines quality components and modern technology into a traditional hunting load to provide consistent, proven results. Each shell features clean burning powder, sensitive uniform primers, specially designed wads to keep the shot uniform and pattern tight and extra hard shot and brass plated metal head for a game stopping punch. Great pattern out to about 40 yds, would recommend!